Republican Gov. Bruce Rauner speaks at Growmark in Bloomington on Thursday, Feb. 22, 2018. Gov. Bruce Rauner stops to chat with a worker at Growmark Inc. in Bloomington during a visit to promote his proposal for a tax cut. 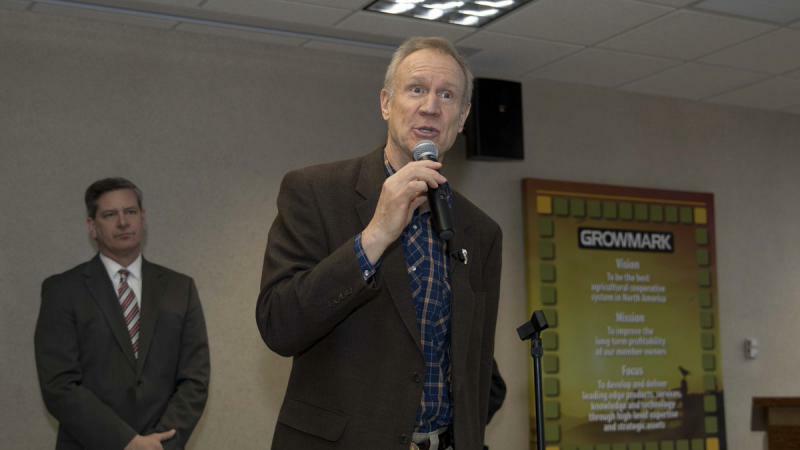 Addressing employees at Growmark Inc., a large agricultural cooperative, Rauner said he wants a $1 billion tax cut while also decrying the state's long-term budget deficit. He promised a balanced budget but offered few new specifics on how he would manage both a tax cut and deficit reduction except to say he would reduce Medicaid payments and some other benefits for state employees. "Cut wasteful spending in Medicaid, cut the structure of the group health insurance plan inside state government, and ... change the way education pensions, teacher pensions, are financed," Rauner said at a press briefing after his remarks to Growmark's employees. "We have health insurance (for workers) inside government that is way beyond what taxpayers in the state in the real world have," Rauner said. He said he believes he can save $500 million a year by making changes to state health insurance benefits. Rauner also said local school districts should take more responsibility for funding teacher pensions. "We should do what other states have done and put the responsibility for paying teacher pensions where they belong—at the local school district level where the benefits are determined and who gets the benefits is determined," he said. Local school districts eventually would be able to offset the increased cost with higher payments from the state what Rauner called "mandate relief on issues like competitive bidding and contracting and the restrictions the state puts on our schools that drive up costs." Questioned by a reporter, Rauner declined to acknowledge that the state needed the tax increase enacted by the legislature last year in order to pass a budget that could meet the state's financial obligations. The state had gone three years at that point without passage of a budget. Rauner said he wants to see the income tax rate rolled back to 3 percent from the current 4.95 percent, but didn't specify how he would pay the state's bills with lower taxes. Rauner faces an uphill battle in his tax-cutting efforts. 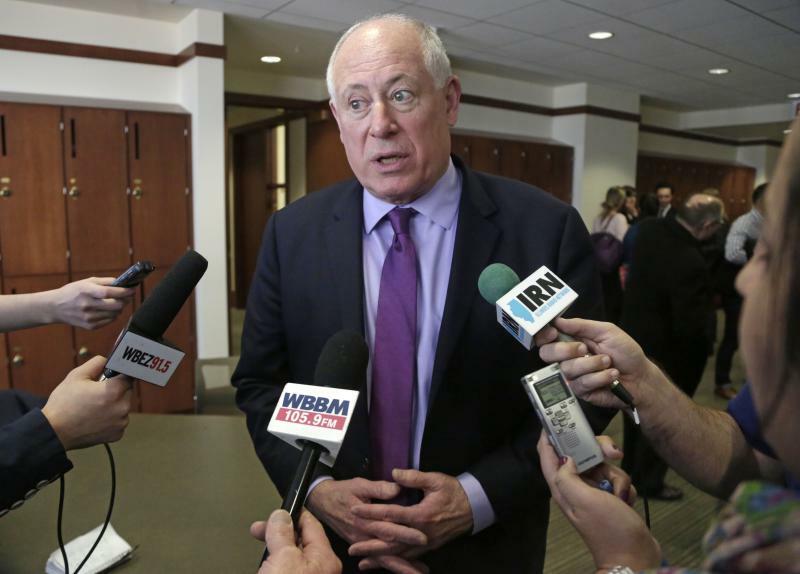 His critics refute his claim that his plan will result in a balanced budget that allows Illinois to meet its financial obligations. Asked about how the state could better protect students and teachers in the wake of the recent mass shooting at a Florida high school, Rauner said Illinois already has some of the nation's toughest gun laws. "We need to be respectful of our nation's Constitution while we work together to keep guns out of the hands of criminals and the mentally ill," he said. "I am certainly open to ideas" on how to better prevent gun violence in schools, he added. 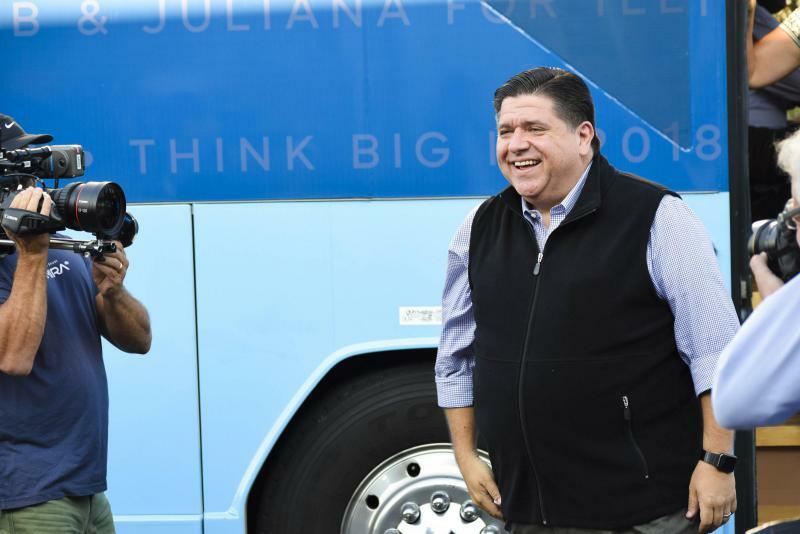 The only debate on live television planned for outside of Chicago between the Democratic candidates for Illinois governor has been canceled. As Bloomington-Normal debates whether to enact a Welcoming City ordinance, former Gov. Pat Quinn said there should be a bright line between local police and federal immigration officers. 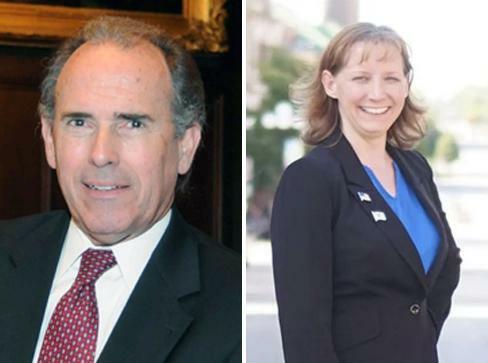 State Rep. Keith Sommer said Thursday he’s taking a wait-and-see approach on many of the governor’s budget proposals laid out this week, even as Sommer’s Democratic challenger called them “insincere and disingenuous” and potentially disruptive for Illinois schools.